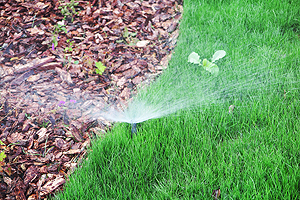 Commercial Irrigation & Turf offers the best oscillating sprinkler Champaign IL customers want for their green spaces. Our oscillating sprinklers provide even coverage throughout your yard. As a matter of fact, these sprinklers work like a fan, moving side to side and spraying water. Sprinkler jets cause the movement and shoot the water to ensure even watering across the lawn. So, get your oscillating sprinkler or other quality lawn irrigation solutions with Commercial Irrigation & Turf. 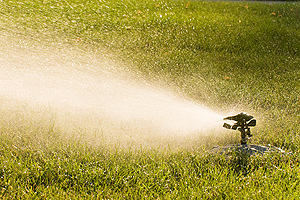 We have served as the top irrigation contractors in Central Illinois for more than 30 years. Give us a call today at 217-398-1494 or contact us online for pricing on an oscillating sprinkler. Commercial Irrigation & Turf can provide the best oscillating sprinkler Champaign IL homeowners pick for many benefits. For starters, oscillating sprinklers gently water newly seeded areas of your garden. Furthermore, they do not rely on a high-pressure release that could damage freshly-grown landscaping. Additionally, they evenly water medium to large lawns. Because you can adjust the spray patterns, oscillating sprinklers can hit far and near areas alike. As a result, you can avoid dead areas in your yard. Also, oscillating sprinklers prevent puddles and seedlings from being dislodged by not overwatering. So, you get the added benefit of conserving and spending less on water. Yes, Commercial Irrigation & Turf can provide the best oscillating sprinkler Champaign IL locals need, but that’s just the start. We also offer garden watering systems, drip irrigation, commercial irrigation and irrigation repair. Let our highly-trained technicians and 30 years of experience take care of your lawn sprinkler needs. Commercial Irrigation & Turf can deliver even watering with the best oscillating sprinkler Champaign IL clients value to your yard. Keep your yard lush and green without any dead patches this year. Give Commercial Irrigation & Turf a call today at 217-398-1494 or contact us online for the best oscillating sprinklers. Also, you can visit our office at 206 N Randolph Street in Champaign. 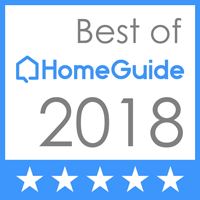 Do you need the best oscillating sprinklers outside of Champaign? Give us a call. We service clients in Pekin, Peoria, Springfield, Bloomington, Galesburg and throughout Central Illinois.